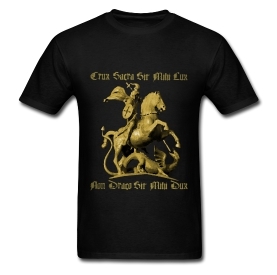 Our shirt for the Feast of St. George is here. Only $15! 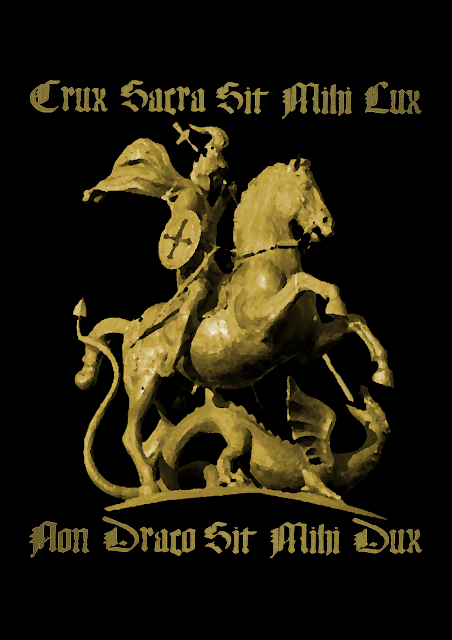 You've got the dragonslayer himself laying the smacketh down, and we've mashed him up with the first two lines from the Prayer of the Medal of St. Benedict. not the Dragon be my guide. Check out our other products in the BTS Shop.